Healing crystals have become a household object for many people, but do you know what each one’s special power is? Truly, each stone holds unique mineral formations and unique powers as a result. Some crystals are great for purifying the air. Others are ideal for keeping a grounded, loving home. What crystals should you have? Onyx cleanses the air, rids your home of negative energy, and holds strong grounding powers. The stone is great for any home, but especially people who have recently endured a divorce or whose children are grown and have moved from the home. Quartz is perfect for relieving stress and anxiety. It’s also an excellent energy purifier. I like to leave quartz on the windows so that incoming energy passes through it. 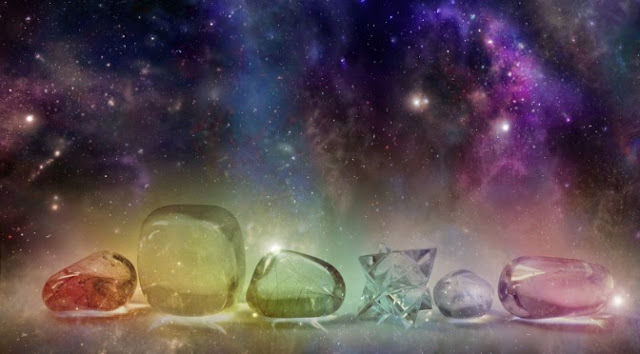 Periodically the crystal will need to be washed of any negative energy by leaving it in nature for a while. Amethyst is a well rounded healing crystal. Great for getting rid many of headaches and general feelings of fatigue. This crystal also promotes good skin, strong bones, joints and pleasant dreams. Sleep well! Citrine is used to increase concentration, boost memory, and breathe life into creativity, into all of your endeavors. It’s a great stone to keep in the workplace or home office. Lapis lazuli is a strong supporter of the immune system. This stone can remedy migraines in a flash. Keep this stone in your night stand so it can rejuvenate you as you rest. The go to stone for artists and politicians a like, this bolsters creativity and the ability to see solutions where they are not apparent. Leave this stone in your work space and for added effect, combine it with agate. This stone is thought of as the ‘youthful’ stone. It encourages a younger mentality, youthful appearance and glow! Even if you are young, this stone is an empowerment stone. It provides strength and a sense of being grounded. This stone is great for all things relating to digestion. It encourages thorough absorption, easier body movements and efficient energy production. It also stops the effects of IBS, acid reflux and eases the problems of a temporarily dis balanced diet. I would keep one in the bathroom or dinning room! The ultimate adrenal balance tool, this crystal makes it easier to build or balance different energies within your self. My mother wears a jade bracelet 24/7 to bring mindfulness and health her way. An amazing general healing tool, this stone can encourage tissue regeneration. This stone burns energy however so stay cognizant of your resources to avoid burn out. This stone regulates circulatory movement and pressure. If you get cold a lot in winter this stone can restore some warmth to your extremities. Great for colds and general feelings of ‘not feeling so hot’. Empowering your acute decision making skills, this stone serves business people and privateers. It also naturally deters anxiety and builds confidence. Leave this stone in your office or place of business to maximize the effects in your life.